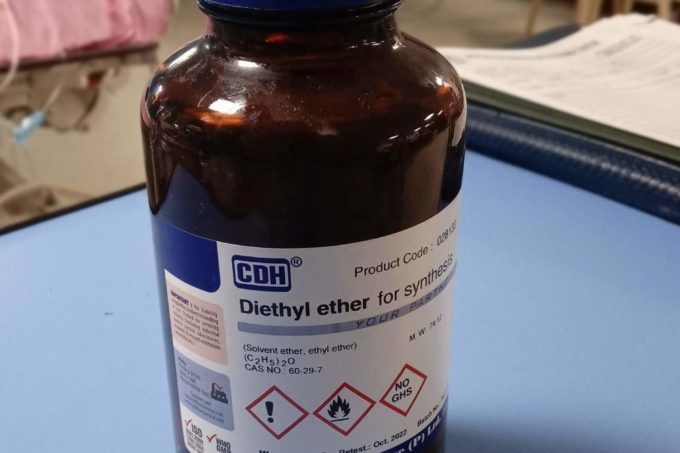 Solvent ether is used for the cleaning the surgical wound management. To remove the Elasto-plaster or dyno plaster from the wound closure. combustible material, keep away from electrical and power equipment for safe use. Store products in tightly closed original container at the temperature recommended on the product label. Before using the solution, read the full instruction, hazards, and recommendation to use. In some of the countries, the solution in medical practices is banned according to the safety data sheet. All the equipment should be grounded and bonded to prevent the build-up of static electricity.